Profile picture (c) Piers Rawson, Cerne Abbas Festival I graduated from the Royal College of Music in July 2016, studying with Haris Kittos. I earned a First Class BMus (Hons)degree and was awarded the Elgar Memorial Prize for my final portfolio. I'm a young composer who is still learning her craft, experimenting with all kinds of styles and ensembles (even just electronics and no players at all), and bit by bit I'm refining my compositional and artistic goals. For me, music should illicit an emotional response - the listener should feel something, and should be able to engage with the piece. That's why we have music in addition to language: to express and explore feelings for which we just don't have the words. 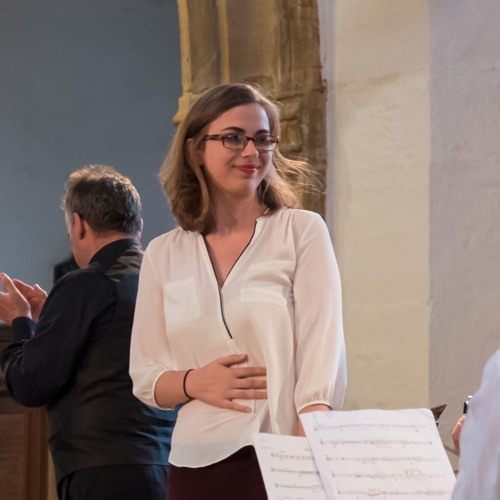 Recent performances have included the National Centre of Early Music Composers Competition Final in 2013 and 2014, and a commission for the Gaudier Ensemble as part of the Cerne Abbas festival's 25th anniversary in July 2015. In October 2015, my piece 'Pleura' was played alongside eight other commissions at Kings Place in the Equator: Women of the World festival, and recently the RSNO's ensemble Alchemy performed 'Red.' in their brand new hall at the Royal Concert Hall in Glasgow. On 27th and 28th May, the RSNO performed by piece 'remisipate' as part of their Season Finale concerts. In July 2016 my piece 'wavelet' for mixed ensemble was workshopped and performed by Ensemble Recherche, with guidance from Tristan Murail. In 2017-18 I participated in both the LSO Soundhub scheme and the LPO Young Composers Programme, and in 2018-19 I have been working on a new piece for LSO Soundhub Phase II and the new NYCGB Young Composers scheme.